Perhaps you have just started a home business or maybe you have been asked to create a website for a club, organization, or company that you work for. 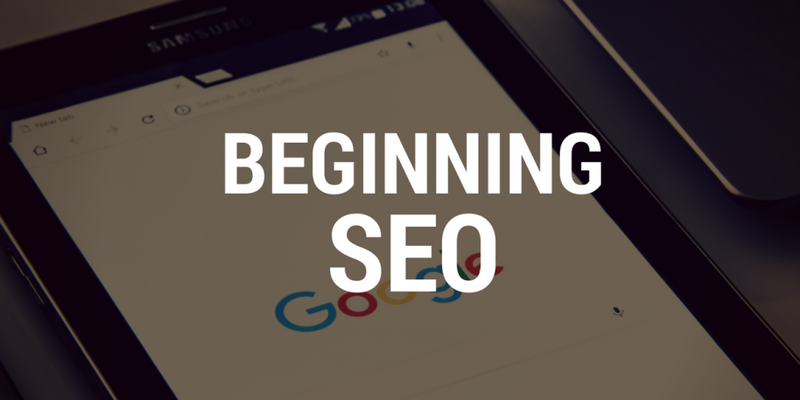 Whether you are using one of the many online website builder tools or a dedicated website creation program that you’ve downloaded to your computer, you need to be thinking about Search Engine Optimization (SEO) as you get started. The following are seven SEO tips that you should incorporate into your design as you create it, so you won’t need to start from scratch after nobody finds that first site you built. Search engines reward websites that visitors spend more time on with a higher ranking. People are only going to spend more time on your site, however, if they are quickly taken to a webpage that contains the information that they clicked through to see. They will close your page and head off to a competitor’s site if your pages take too long to load. While having keywords relevant to what you have to offer on the pages of your website might not be all that’s necessary to rank well in search engines, it is still a vital component of your overall SEO success. Any website creation software today allows you to add elements such as meta tags, page titles and even alt tags for your images. Take advantage of this fact to most efficiently tailor each page of your website around those keywords that best represent what the page is about. The keywords being on the content of the page itself is also critical. They need to be there for search engines to find in order to determine the relevance of the page to what you are offering and for potential customers to find so they know they are in the right place. If it is also compelling and interesting copy, then this helps keep the visitor there longer, which search engines also like. We are living in a mobile world, and your website needs to reflect that fact. This means it needs to be designed using fairly modern software that will enable it to render as well on a tablet or smartphone as it will on a desktop or laptop. If you’re using a five year old website program that you dug out of the closet, you might want to get rid of it and opt for a newer solution. It may still present a simple looking WYSIWYG interface for creating the pages, but the underlying coding backing up what you’re seeing may not be advanced enough to meet modern requirements for mobile devices. A mobile-friendly design is especially important for a business or e-commerce website. Mobile sales have already overtaken desktop sales, and that trend is only going to increase. Google also views this as a factor in their algorithm that determines where websites rank. A responsive website design that scales well on any device it is being viewed on is, therefore, critical to your success. Many people new to website design have heard of sitemaps and maybe even understand that you need one. However, few people are aware that there are two kinds and that you need both. An XML Sitemap is one that is used by search engines to more easily crawl and index the pages of your website. The HTML version is one that visitors to your site can see and click on to find the exact page they wish to find. These are both important to have. The XML one directly improves your search ranking and the HTML one indirectly improves it. Remember that search engines reward websites that have visitors stick around longer. Making it easier for a visitor to find a specific page that has the information they want will make them do just that. When putting together a website, you may want to design it with a content management system that makes updates easier. Using a popular content management system can also give you access to numerous extensions and plugins that can help make your web design and search optimization job a lot easier. Another thing you may want to decide when designing the site is whether you wish to incorporate a blog. One of the biggest factors search engines look for when ranking webpages is regularly updated, high-quality content. There will be updates on any website as product descriptions or activities being written about change, but if you want to do the most for your SEO strategy, include a blog with frequent articles that are relevant to what your website offers. You don’t even have to do the work yourself. You can just think of a subject for an article for your blog, and there are content creation services online that get clients who need content together with writers who need money. Content is king in search engine optimization. There’s a reason that so many of the websites you go to today have links on them to their social media pages. Twitter and Facebook links as well as links to various similar sites do boost their social media visibility, but search engines like to see those links also. In order to maximize the number of people utilizing those social media links, you’ll want to put them high enough up on each page so that people won’t have to scroll down to see them. Adding social sharing buttoning on blog pages is also critical. If a particular article is popular, you don’t want to lose all the publicity it could bring you by denying it the chance to go viral on social media. It was mentioned under the SEO tip about keywords that you may want to use them in alt tags for images. This is definitely important, but there are additional things to do with images to improve the website’s search engine optimization. Make the images as small as they can be while still looking good enough to be effective. This also helps with the aforementioned aspect of page loading speed since larger files take longer to load. In addition to the alt tag, make sure the image’s file name is descriptive and keyword-rich. Remember that people sometimes use image search as well, and if you optimize your images, you can get some traffic that way too. Designing a website can be fun because it allows your creativity to run wild. There are plenty of online website builders that are perfect for new or even fairly experienced web designers. Use any features they offer that boost your ability to be above the competition in the search engines. Use a simple, clean design that loads relatively quickly with websites that have the keywords you need to rank highly under in all the appropriate places. Add sitemaps, a system for easily updating content, optimized images and social media integration to your responsive website design, and watch your search ranks climb.